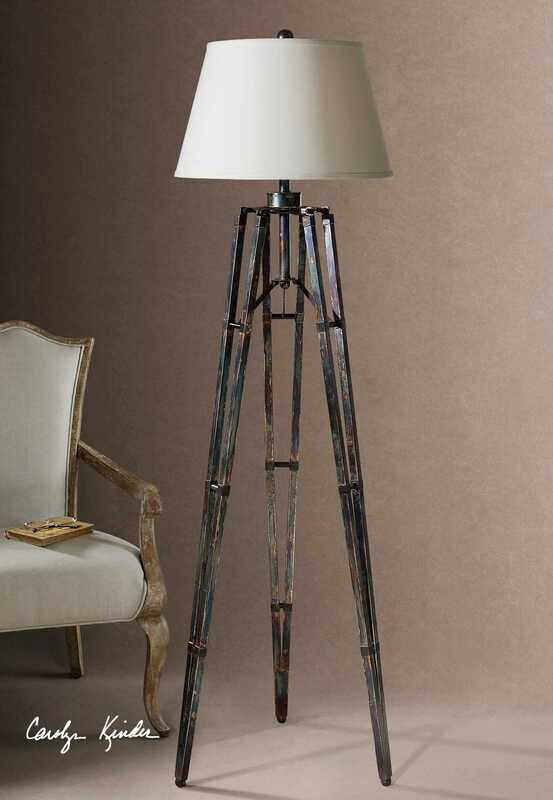 The tripod base of the Tustin Floor Lamp has an oxidized bronze finish with gold undertones. The round hardback shade is an off-white linen hardback. This design, by Carolyn Kinder International, also comes in a table lamp style. Available to trade professionals at Uttermost.com. For retail purchase Google keywords “Carolyn Kinder Tustin Tripod Floor Lamp”.